Gotta’s Farm — When it’s Gotta’s, its Gotta be good! Gotta’s Farm and Cider Mill is a 4th generation farm established in 1898. 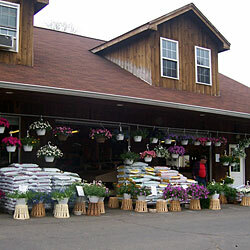 We now have two seasonal retail locations — Gotta’s Farm on Rte 17 and the QP Market on Rte 66, both in Portland, CT. We are the proud growers of quality plants, fruits, vegetables and full ornamentals, and we offer strawberries, peaches, apples and pears that you can pick yourself when they are in season. Gotta’s Farm maintains a farm stand bakery with fabulous pies, breads, and cookies, and we participate in three regional Farmers’ Markets. For the holiday, we feature a fine selection of Christmas trees and decorations. So come and visit us at the farm to see all that we have to offer! !